I think that throughout the blog”the public speaking tips», we’ve been focusing solely on the one who is on the spotlight in a public speaking event, forgetting about the counterpart of the speaking game. Listeners are an integrated part and the major player in determining the outcomes of a given presentation. In most cases, listeners do have a great impact on the speaker himself. They may help and greatly inspire the speaker to a peak performance via their careful listening and high connectivity as well as engaging in a constructive Q/A session. This of course aids the speaker to a greater degree to respond and meet their estimations. So far so good? 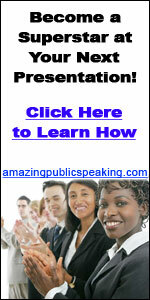 Success and effectiveness of a presentation have almost as much to do with the audience as with the speaker. Listeners do have an either positive or negative impact on the course of a speech. Some aspects of their negative influences may be translated in the form of intimidating and interrupting the speaker’s focus. This might be an outcome of a lousy audience whose listening abilities are far way poor to cope with and absorb the given material. In reality, studies have revealed that as much as 75% of presentation content is not absorbed by listeners despite the speaker’s considerable efforts to get the message across successfully yet it, in some situations, confronts a disruptive audience. - Do your homework and prepare what ever needs preparation. - Be their on time, don’t be a belated. 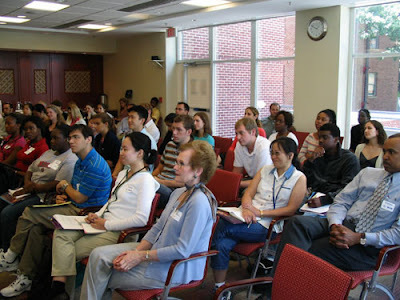 - Know the objectives so as for you to make effective contributions to easily attain them. - Shut off the cell phone. - Listen carefully to whatever being said, don’t interrupt and be driven by rushed conclusions. Wait until the speaker make his point, and if it does not make sense to you, politely ask for further clarifications. - Be an active listener, respond to whatever being uttered by the speaker be it even a joke, laugh and show your teeth even if it is a corny joke. Be the mirror of the speaker’s content. (Facial expressions, smiles, eye contact, responsive body language, joting down notes).All these behaviors encourage the speaker to carry on his presentation successfully. In a nutshell, the above public speaking tips on being a great listener will help dramatically the results of the next presentation you attend. just be like the people in the pic above.